and spirit during a highly invigorating Yoga Retreat in India with Us. Rejuvenate and replenish while dwelling for a week to fortnight-long Yoga vacations in India, the treasure land of Yoga and Ayurveda. 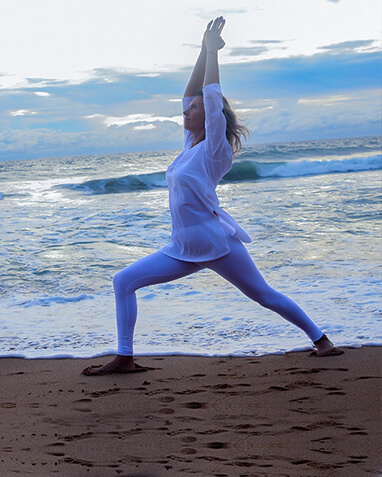 Reconnect with your soul; fall in love with your inner being and life all over again during a yoga retreat with us. Relax, revive, and reform with a one week or two weeks Yoga Retreat with Rishikul Yogshala. Our retreats are the ideal amalgamation of Yoga, Pranayama, Meditation, Ayurveda and Yoga Therapy for those willing to experience this lifestyle at a laid-back and a cozy pace. The price includes customized sessions, spa, visits and excursions, three meals in a day and personal accommodation. 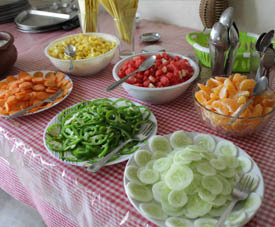 The food offered caters to the Ayurveda methods and is prescribed according to the individual body’s composition. Cleansing procedures are carried out by the school, in the form of Shatkarmas as prescribed by the yogis in ancient times. Soul soothing spa experiences infused with healing Ayurvedic blends would become an experience to treasure and long for a lifetime. 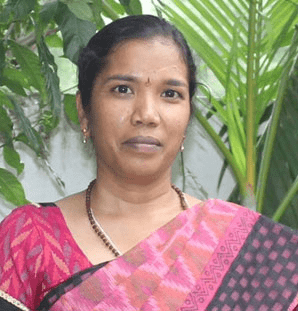 The entire duration of the retreat assures to be life-transforming imparting a holistic health, both physically and mentally with every passing day. Break away from the daily humdrum and puzzles of life into a world assimilated to help you converse with the inner-being while lounging in the mesmeric lap of nature. Relinquish the woes and revive your body and soul here. Let Yoga retreat in India 2018 be your guide to a complete revival. Replenish your being and acquire the intellect into restoring health and wellness through yoga. This is an absolute experience to relax and rejuvenate from deep within. Indulge in mindful interaction with various like-minded souls from across the globe. A subtle amalgamation of different yoga forms including the Ashtanga Yoga, Hatha Yoga, and Laughter Yoga. Revitalize the layers of your skin and mind at our Ayurveda Facility during our Indian Yoga Retreats. Gain a projective insight into the Yoga Philosophy, depicting the true yogic way of life. Cleanse your body and spirit with the Yogic Detoxification Therapy. 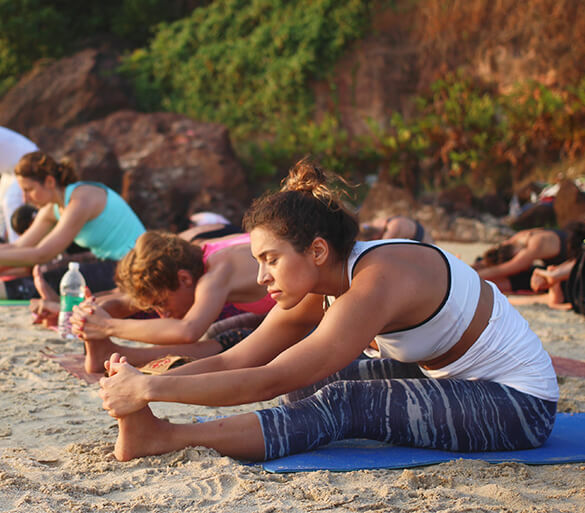 Where To Go To A Yoga Retreat In India? The healing embrace of mother nature, tranquilizing ambiance that offers complete solace, an authentic touch of Yoga and Ayurveda, these are some of the key factors that make up for an ideal yoga retreat destination.Rishikul Yogshala perfectly integrates into this and, so we offer Yoga Holidays in India at the most exotic and authentic Yoga and Ayurveda destinations on the globe. 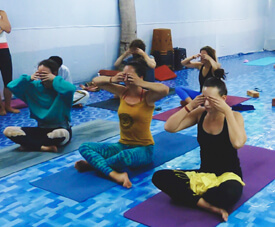 Yoga Retreat in Rishikesh, India Experience yoga in its virgin form during a Yoga Vacation in Rishikesh, India, where the sun rises from the lap of holy river Ganges and dissolves into the Himalayan embrace. Nestled in the foothills of the majestic Himalayas, the town of Rishikesh is also the spiritual and yoga capital of the globe.Owing to its quaint lifestyle embezzled in traditionalism and gifts of nature, the town of Rishikesh, is an ideal destination for the best Yoga retreats in India. 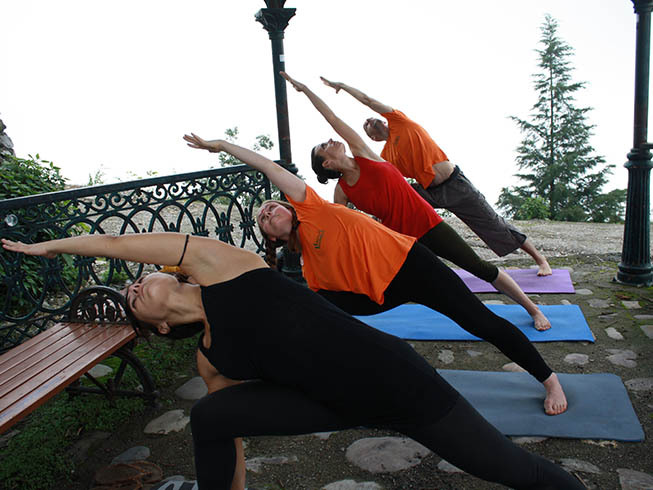 We offer both 7-Day and 15-Day Yoga Retreat Packages in Rishikesh, India. 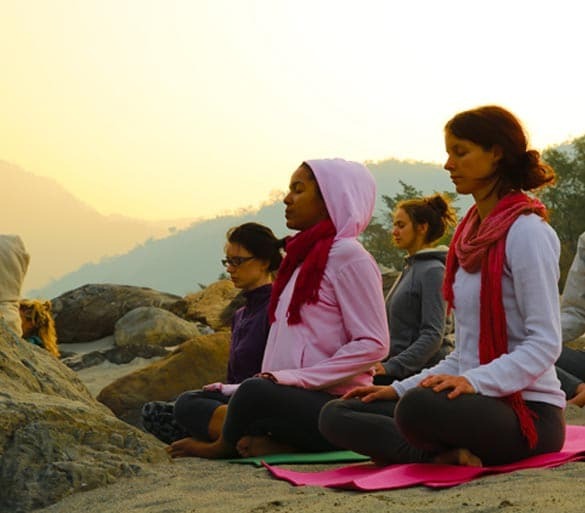 Yoga Retreat in Rishikesh, India Experience yoga in its virgin form during a Yoga Vacation in Rishikesh, India, where the sun rises from the lap of holy river Ganges and dissolves into the Himalayan embrace. Nestled in the foothills of the majestic Himalayas, the town of Rishikesh is also the spiritual and yoga capital of the globe. 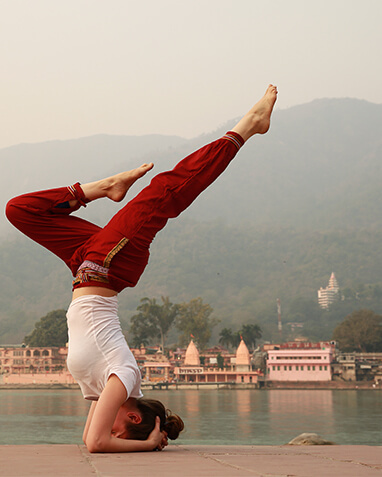 Owing to its quaint lifestyle embezzled in traditionalism and gifts of nature, the town of Rishikesh, is an ideal destination for the best Yoga retreats in India. 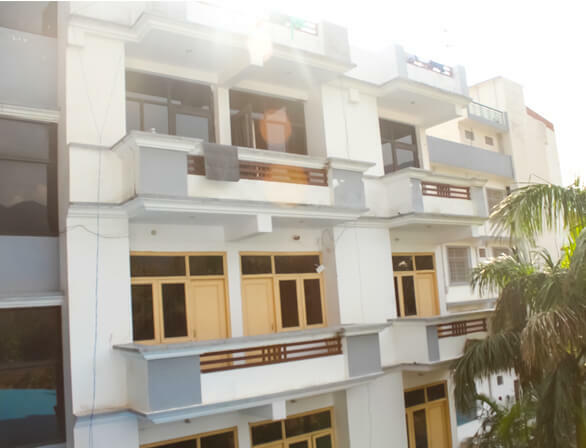 We offer both 7-Day and 15-Day Yoga Retreat Packages in Rishikesh, India. Yoga Retreat in Kerala, India The land and nurturer of the ancient science of Ayurveda needs no introduction. The region of Kerala has been the source of healing treasures since its origin. The country is a popular destination for Yoga and Ayurveda enthusiasts who wish to explore the beauty of the art forms while soaking in the dazzling breathtaking beauty of the land of emerald beaches and glistening backwaters. 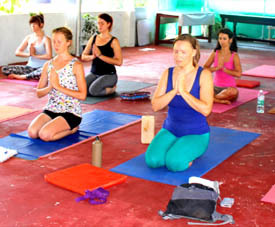 Immerse in a 7-Day or 15-Day yoga tour in Kerala with Rishikul Yogshala. 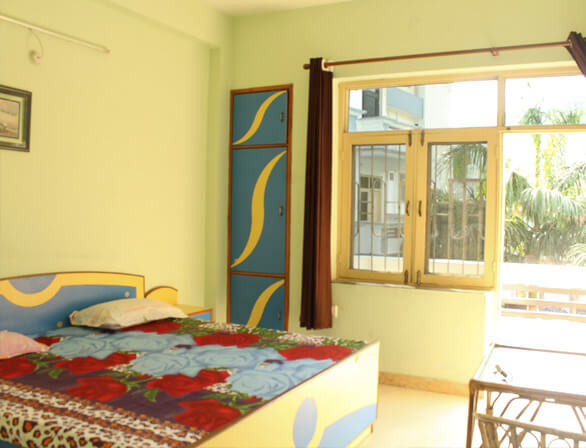 Accommodation Reside in a quaint dwelling surrounded by a plethora of nature’s most soulful reserves. Breathe in the fresh breeze and experience glory in every moment of it. 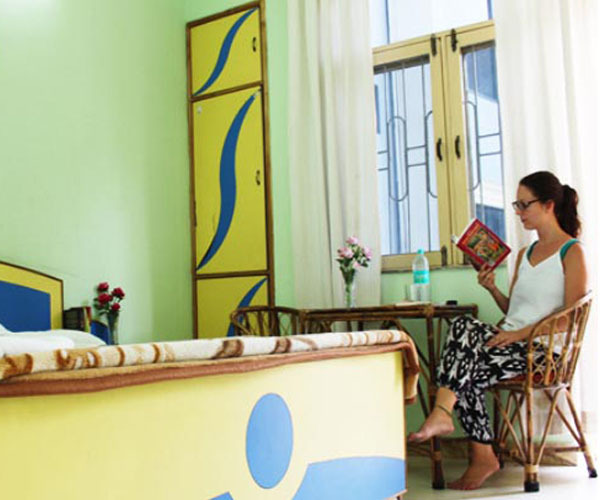 We provide each guest with a cozy resting place, fledged with all the modern amenities for a convenient stay at our ashram. 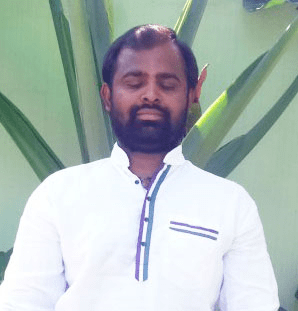 We facilitate the retreat in an ashram-like environment where you have ample space, time, and the perfect yogic ambiance to indulge in deep immersions. 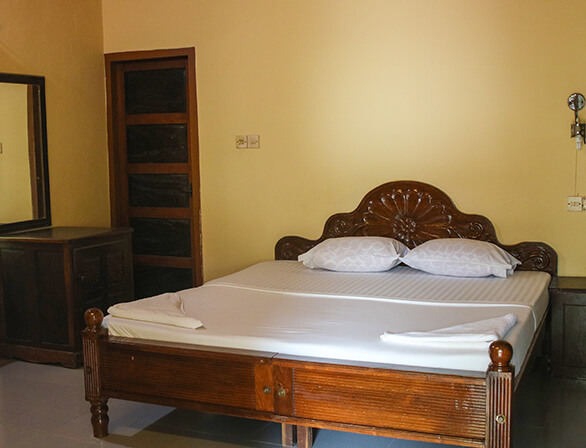 The accommodation is offered on a private basis with the inclusion of twin beds, mosquito nets, TV, geyser, private washroom, etc. The rooms open to secluded balconies, overlooking the majestic beauty of nature where you can sit, meditate; self-reflect, or share an herbal cup of tea with a fellow yogi. Food Treat yourself to a highly appetizing yogic cuisine, prepared to perfection by the professional chefs of Rishikul Yogshala. 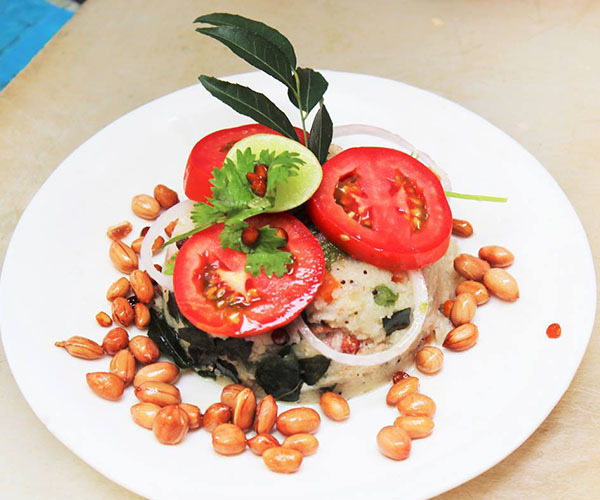 From freshly sourced succulent salads and appetizers to mildly cooked vegetables and pulses, the food we serve is a complete delight for the body and soul. We incorporate a blend of Ayurveda spices to enhance the taste and to lend the food healing properties for complete nourishment of the entire being. We also serve organic drinks for cleansing and detoxification purposes. In addition to a wide platter of ‘Sattvic’ vegetarian delicacies, we are more than happy to accommodate pure vegan choices on request. Re-established connection with the mind, body, and soul. Experience an inner body renewal and complete rejuvenation. Meet kindred souls and form inspiring liaisons for life. Catch an authentic glimpse into the style and discipline of yoga with us. Get the opportunity to be guided by the esteemed yogis and gurus. Take back home an illuminated mind, body, and spirit.